Royal Doulton’s ‘new style’ figures (from1936). 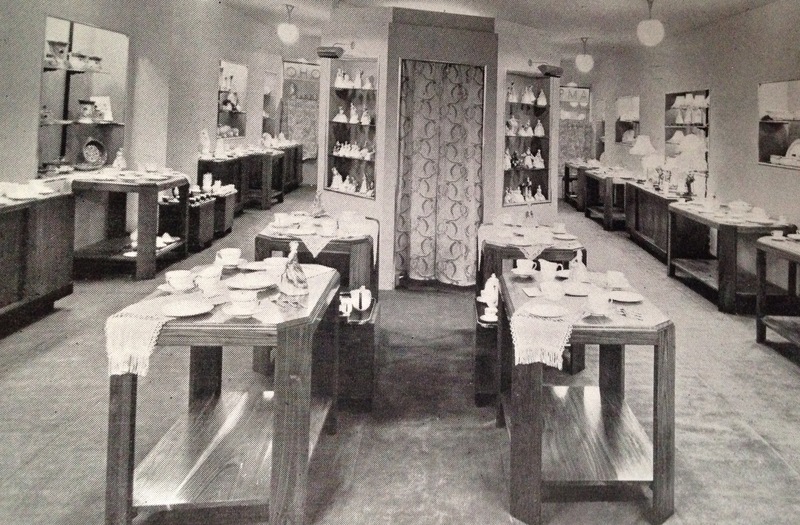 At the British Industries Fair of 1936, Doulton’s exhibit dew favourable reviews from all corners. New lines in tablewares and shapes, new animal studies including a new tiger and also a selection of new figures were introduced to the public. Among these new figures was The Coming of Spring, which was singled out for praise. Indeed this new figure was described as evidence of further development in connection with the range of ‘Royal Doulton Figures’. Moreover it was felt that this large model by Leslie Harradine captured the modern spirit, without conveying ‘the idea of a continental flavour’ and it was heralded as one of the smartest conceptions in figures that has ever emanated from the Doulton factory! Examples of this large figure are rare today, no doubt due to the costs involved in her production as she would surely be part of what we call the Prestige Range today. A simplified ‘sister’ figure is Celia, also by Harradine.